Liverpool FC is one of the oldest and most successful English Premiership clubs in the UK. LFC is famous for its electric atmosphere at their home stadium of Anfield mostly when they play their town rivals Everton or EPL long life nemesis Manchester United. 'You will never walk alone...' Is part of the world famous Liverpool FC anthem that has been featured on a variety of fan-zone pages that makes attending a match at Anfield Road a dream come true for any football fan regardless of your loyalty. Over the last three years, the club has been going through a growth phase, ultimately the team qualified for the European Champions League next season. Consequently, the amount of excitement at the club and the city of Liverpool is at a fever pitch. Subsequently, buying a ticket for next season may not be as easy as before. Buying a football ticket looks straight forward but this might not be the case when dealing with a club such as the Reds. 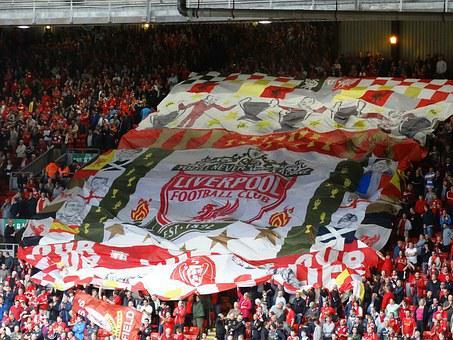 Liverpool Fc tickets are one of the most in-demand tickets in the UK if not globally. The tickets are sold out in minutes sometimes you don't even get the chance to buy one hour after they have been released to the public. This then begs the question of where and when is it practical for anyone to buy tickets to watch a Liverpool match. Well first, it's important to know the tickets that are on offer as well as the promotions that you may take advantage of to experience the electric atmosphere at Anfield Road. The best possible option of buying a Liverpool FC ticket is through the official outlets. In order for you to be awarded the privilege of buying your tickets from the official outlet, you will be required to be a member, a process that will cost you 25 Pounds. Though the membership may not guarantee you with a definite game day ticket, it surely gives you priority when they are available in addition to being the safest way to watch the game. The only way to guarantee a ticket in the coming season is if you watched 13 games and above in the previous season. The membership lasts for a full season inclusive of all competition. Therefore, in the instance that you are only interested in watching less than ten matches there is little need to register; however, you run the risk of not being offered priority during the season in hotly anticipated matches mostly in the Champions League. Last season, the FA and Europa League away tickets were easy to purchase. Nevertheless, the boys under Jurgen Klopp, have been playing well meaning the tickets to the Champions league home or away will sell very fast. Once you have gone through all the requirements you will select the game that you would like to buy a ticket for. Additionally, you will also be awarded the option to select other games so as to get first priority when the tickets are made available.In the instance, you are not selective of where you would like to sit, just type in the number that will get you the first available seat.On the other hand, if you are selective of where you would like to watch the action, you will have to choose from the four available stands, and then the system will highlight which seats are available then later you will select where to seat. Once you have sorted all the details you will go to the checkout point in order to complete your purchase. It is at this point that you are allowed to select if the ticket is for a friend or family. You should note however that though you are allowed to buy two or more tickets through the official website in particular matches such as those against title rivals or derby the rule stands as one member per ticket. Well buying your tickets from the official Liverpool FC outlets may be the best option; however, tickets get sold out fast, it is then that you will be required to use online ticket vendors in order to watch a game. As earlier stated there is no logical reason to pay for registration when you may be a visitor and only have time to watch a single game though you would like to feel the roar from the 'Kop End' reverberate through Anfield. In this instance, your best option is to get secondary tickets. It is a well-known trade that official ticket outlets sell most tickets to second party entities who guarantee increased income. In other words, official outlets by selling to secondary parties are not faced with losses of lack of tickets being bought or empty seats caused by any intervening forces; they make their money upfront. Even so, secondary tickets for Liverpool matches are in high demand. The best possible way to get them is on trusted websites such as ticket4football.com. Websites like ticket4football.com guarantee you buy your Liverpool tickets safely and securely without risk. Online websites such as Craigslist and Gumtree should be avoided at all costs a factor that is not only emphasized but also preached. These two websites are known to host fraudsters who are ready to say anything to any potential victim. Reports of individuals who have been conned of their hard-earned money in pursuit of the highly demanded Liverpool tickets are in their thousands. The first impression to look out for when purchasing tickets from a person is the fact that most con artists avoid personal one on one contact. They find some excuses to tell you how they cannot attend the game because they are miles away. Secondly, they ask for money transfer before the match this will not give you the chance to verify the authenticity of their deal. In any way or form, please stay away from such dealers and only use trusted websites. Both the official as well as the online ticket outlets sell the Liverpool tickets at a price in reference to the figures. Games against other title contenders such as Manchester United, Man City, Spurs, Arsenal, Chelsea, as well as city rivals Everton are the highest priced. Matches against teams that have a reputation as dark horses such as Westham FC, 2015-20116 champions Leicester City, Stoke City FC are next to follow. The least priced tickets are matches against the lowly rated EPL as well as championship teams. From the above explanation matches against title contenders or rivals are bought as soon as they are available and there is that chance that you get to the ticket machine just to find they are sold out. The best way to get these tickets is buying advanced tickets online from the reputable online agents. For a fact, they will have a considerable amount of tickets to go around, having them is a matter of providing your fees in advance so that they make their profits early, it's just good business when you look at it. The second category tickets sell more slowly but you can be sure that if you wait until the game day or two days to the games you may be forced to watch the match in a pub or at home on Sky. This is an option but not as exciting as being on the Kop end as the boys display their talents. The third category tickets are less in demand considering in some matches such as FA matches against lowly Championship clubs are played by Academy players. As an added piece of information, next season the Reds will be playing in the Champions League and for a fact, those tickets will be flying once they are available. Therefore, it would be wise to book such tickets as early as both officials, as well as online outlets, offer them. In case you are sure of being in Liverpool for a long time, it would be advisable that you buy Liverpool Fc season tickets. The season tickets are in high demand and it is known that the waiting list for such tickets is the longest in Europe. The structure used by the official Liverpool ticket outlets place season tickets to cover all English Premier League matches; nonetheless, on request, FA, as well as European matches, are added to the list at a premium additional price. A single season ticket will set you back 710 up to 850 UK Pounds. The advantage of a season ticket is that you are privileged to watch all home matches of any category at your convenience. Unlike most football clubs, Liverpool FC has a special policy that allows it members with the required loyalty points to purchase tickets in batches in the instance they do not have the finances or time to own a season ticket. During the months of July and November, members are allowed to buy tickets up to 10 in number prior to the beginning of each half of the season. This allows them to buy rivalry and derby as well as potential accelerating matches tickets before they are out of stock. The benefit of this policy is that it allows the members to guarantee their attendance without going through the waiting process of a season ticket, incurring extra cost on matches they may not watch as well as guaranteeing their position at Anfield during the big matches. Nevertheless, not all the members who qualify to for this privilege have the required finances; consequently, they miss out on a great deal. This will then force them to buy match day tickets on kick off day which does not guarantee attendance. Getting away match tickets have been just as hard as getting Anfield tickets considering the way the team plays. Additional requirements have been added due to the increased demand for away game tickets; for instance, lest you have bought previous away section tickets from Liverpool official outlets then your chances of getting a ticket from the home team vendors is low. This is then made worse in the instance of high-octane premier league matches such as the Merseyside derby against Everton Fc at Goodison Park or the rivalry match against Manchester United at Old Trafford. Ticket4Football is an interactive online football ticket exchange service for fans to buy and sell tickets for Liverpool football events all over the world. Our goal is to provide fans with a personal service and the best choice of Liverpool home tickets at the Anfield Stadium and Liverpool away tickets in all venues. Our Liverpool ticket prices are offered at a fair market value, even if the event has long since sold out elsewhere. We connect buyers and sellers within a safe environment as we offer a 100% guarantee on all transactions. We are able to provide this security by ensuring that tickets are in the buyer's possession at the time they are listed and by overseeing that their delivery to buyers is in good time prior to the event. We can even guarantee your seat! To learn more about Liverpool Football Club go here and here.